Research has also cast aspersions on the concept of placental insufficiency (Oakley1984). ‘There is no conclusive evidence that this policy improves foetal, maternal and neonatal outcomes as compared to expectant management’ (Mandruzzato et al 2010:111). Yet even with all these eminent research findings none of these discussions have made a significant impact upon policies concerning post-term pregnancy. More women than ever are undergoing medical induction of labour. An intervention that has been described as ‘overused’ and ‘epidemic’ for years! Research published in Human Reproduction last year has added further insight around so-called post-term pregnancy by showing that variability around pregnancy length is even greater than has previously been thought. The findings also add weight to the idea that, on the whole, it is better not to induce labour simply because a pregnancy has lasted for a certain amount of time. “The length of human gestation varies considerably among healthy pregnancies, even when ovulation is accurately measured. This variability is greater than suggested by the clinical assignment of a single ‘due date’. They support the notions that it can be completely normal and safe for pregnancy to last longer than is currently deemed ideal, and that it may be preferable to give a due date as a window or range rather than a set point. My hope with this blog is that I have opened your eyes to the concept that we are all different and this is reflected in the differing amount of time we take to go into labour. Let’s be patient! Jukic AM, Baird DD, Weinberg CR et al (2013). Length of human pregnancy and contributors to its natural variation. Human Reproduction 2013. Menticoglou SM, Hall PF (2002). Routine induction of labour at 41 weeks gestation: nonsensus consensus. British Journal of Obstetrics and Gynaecology 109(5):485-91. Mittendorf R, Williams MA, Berkey CS et al (1990). The length of uncomplicated human gestation. Mittendorf R, Williams MA (1991). Naegele’s rule. Lancet 337(8746):910. Oakley A (1984). The captured womb. Oxford Blackwell. Van der Kooy B (1994). Calculating expected date of delivery – its accuracy and relevance. Midwifery Matters 60:4-7, 24. Wickham S (2006). Jenna’s care story: post-term pregnancy. In: Page L, McCandlish R eds. 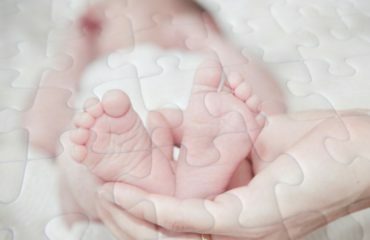 The new midwifery: science and sensitivity in practice. 2nd ed. Philadelphia: Churchill Livingstone: 271-88. How to get birth ready! If you’d like to calculate your due date using the mittendorf-williams method, you can do so easily at http://www.yourduedate.com/?advanced – it’s really fun!